‘Tis the season for an instant pot – a gift for the cooking-challenged, and those without much willingness to cook. An instant pot is essentially a pressure cooker with a brain. You don’t have to remember how to regulate pressure or when to end the pressurized cooking, it’s all done via streamlined cooking programs. If only your mom had an instant pot for Christmas! 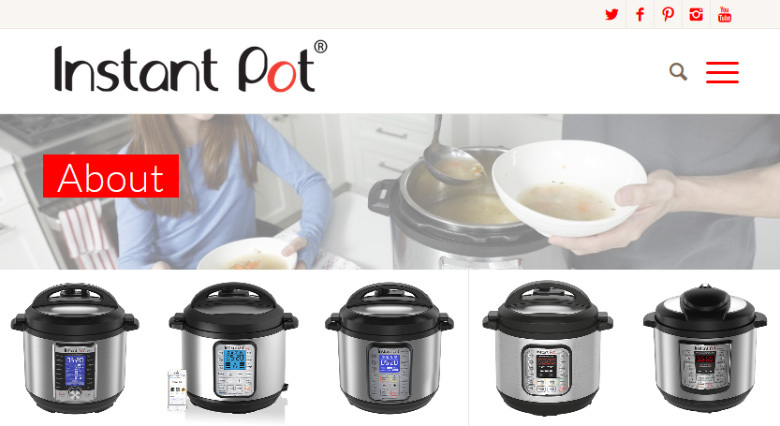 It seems that “Instant Pot” is a registered trademark as well, claiming first use in 2010, and the domain InstantPot.com is hosting the official web site for all things related to instant pots. The domain was registered in 2008, by the actual inventor and producer of the pot. For some odd reason, it appears to be listed for sale on Sedo. In 2009, the instant pot had yet to launch, according to the Internet Archive. Meanwhile, legendary domain investor, Mike Mann, owns the domain plural, InstantPots.com.